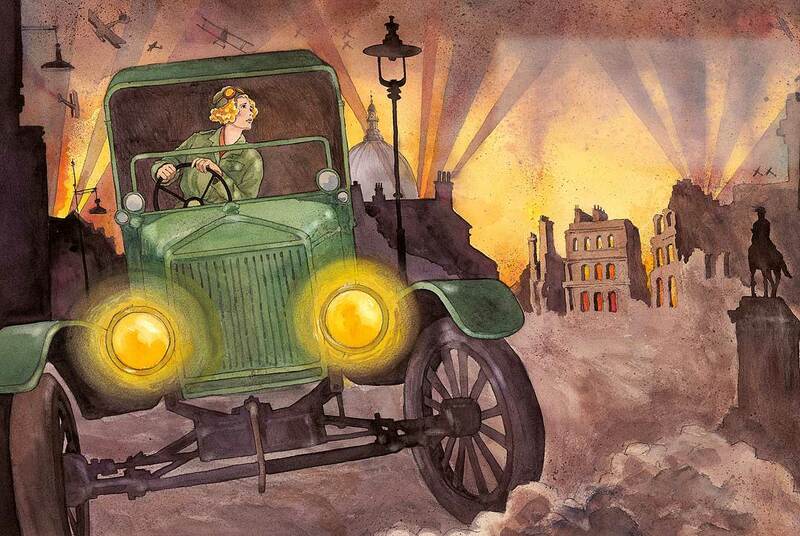 A book about a woman who flouted the gender norms of her time, becoming an ambulance driver in the First World War then the first female in New Zealand to gain a pilot’s licence, is to be launched next week. And it is already number one on the Nielsen bestseller list for the week ending April 2, after being released on March 28. “Gladys is not a person who stays at home and knits. She is determined to go to war.” These simple, captivating words sum up the essence of Gladys Sandford’s life story, as told by Massey University war historian Professor Glyn Harper. 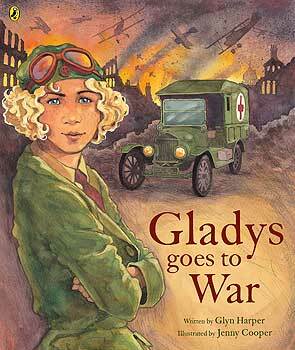 Gladys goes to War (published by Penguin Random House New Zealand) is Professor Harper’s fourth children’s book collaboration with award-winning children’s book illustrator Jenny Cooper on the topic of war. It’s his first celebrating a wartime woman’s story of independence and bravery, and will – he hopes – inspire girls as well as boys. When he stumbled on Gladys Sanford’s story while doing research in Australia for another book, Professor Harper felt inspired to make it his next children’s book project. He was searching through the state library for information on New Zealand soldiers and the Gladys Sandford papers came up. “There was a photograph album of her trip of driving across Australia with a photo of her holding up a big python that she had just run over and I thought; 'I really have to read more about her',” he says. More stories of the adventurous, unconventional and spirited Gladys came to light as he followed her trail. Born Gladys Coates in Sydney in 1891, her family moved to New Zealand when she was a young child, settling first in Auckland then in Hawke’s Bay. She loved tinkering with car engines, worked as a schoolteacher and married William Henning, joining him in running a car dealership in Auckland. When the war began in 1914, she decided to follow her husband and brothers and in 1916 she sailed to Egypt with the New Zealand Volunteer Sisterhood. There, she drove an ambulance, transporting injured soldiers to a big hospital in Giza. In England, she continued ambulance driving, picking up wounded soldiers arriving from France and Belgium to take them to hospital. She suffered terrible illness and losses during the war – her husband and two brothers were killed, and she nearly died from influenza. She was awarded an MBE (Member of the Order of the British Empire) by the King of England George V for her skill and tenacity as a driver. She later married Squadron Leader Esk Sandford, an Australian serving with the Royal Air Force, but the marriage did not work out. Back in New Zealand, in 1925 she fulfilled a lifelong dream to fly a plane and was the first New Zealand woman to obtain a pilot’s licence. In her next escapade, she embarked on another adventure to drive across Australia – east to west and north to south – setting off with a female friend in early March 1927. They encountered floods, treacherous roads, crocodiles and snakes as well as constant breakdowns, which Gladys adeptly repaired each time. The pair returned at the end of July that year, having driven 17,600 kilometres and becoming the first women to make the crossings. Gladys Sandford died in Sydney in 1971, having worked tirelessly as an unpaid social worker for the New Zealand sub-branch of the Returned Services’ League. Gladys goes to War will be launched at College Street School on April 13 at 1.30pm, as part of the school’s Anzac commemorations. The book is Professor Harper’s tenth book for children. His collaborations with Jenny Cooper; Le Quesnoy, Jim's Letters and Roly the Anzac Donkey are the most recently published. In 2015 the pair won the Best Picture Book Award at the New Zealand Book Awards for Children and Young Adults, as well as a Storylines Notable Picture Book Award, for Jim's Letters, a moving story about a correspondence between two brothers during the First World War.